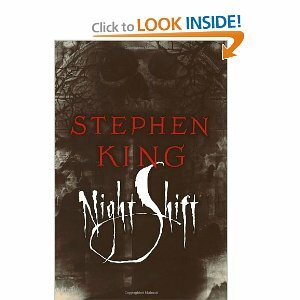 As per his usual - Stephen King delivers. That being said, I am not a huge fan of short stories. I like to get involved with the characters and places and short stories don't allow you do that, if anything they make you yearn for more. This was no exception with King's. While I don't like them, he made me want more. Jerusalem's Lot - A man inherits a house that the locals considered cursed. Him and his man soon find out that they noises in the walls aren't rats, and something very sinister happened in the neighboring town, that was left deserted some time ago. I am the doorway - A man has a problem with some space parasite taking over his body. The Mangler - When an industrial laundry machine gets a taste for blood, its up to a police officer and his friend to try and cast out the evil spirit. Gray Matter - A man turns into a gray glob after drinking bad beer. Children of the Corn - A couple trying to fix their marriage go on a road trip (Side jaunt DUMB IDEA! ), and they end up lost in a small town in Nebraska. There they find not adults, but children, none over 19, have been running things, or something more sinister has been running them. - Setting for Children of the Corn movie. All in all a great bunch of stories (and there were more I didn't read). Its amazing that with some of these full length movies were made. Stephen King can condense his thoughts and ideas and get to the point, but personally, I like it when he rambles.